iPod It: Who Needs a PDA When You Have an iPod? PR: To meet the booming demand for video content to play on Video iPods that hit retailers' shelves last week, Autobytel's CarTV, the Web's leading provider of original automotive rich media, is providing a dedicated Video iPod download center on its popular consumer site, http://www.cartv.com , as well as Autobytel sites Autobytel.com, Autoweb.com, Carsmart.com and Car.com. By becoming one of the very first companies to provide iPod Video support and free content, CarTV is continuing its mission to utilize emerging technology to entertain and inform automotive consumers while providing parent company Autobytel with new ad revenue and brand-building opportunities. "We're excited to be among the first wave of content providers for what promises to be a revolutionary media technology," said Autobytel Senior Vice President, Media and Marketing Services Michael Rosenberg. "iPod users are a prime car-buying demographic, and Video iPods are an ideal platform for the dynamic, hands-on automotive content CarTV produces." Rosenberg adds that in addition to providing breaking automotive news, auto show reports, sports and racing events and how-to-videos in the palm of one's hand, access to CarTV video on an iPod means that consumers can literally watch - and dealers can literally show - a respected third-party video review of a vehicle under a car buyer's consideration right on the dealer's lot. CarTV's initial menu of downloadable Video iPod content includes expert third-party new vehicle reviews, step-by-step car maintenance tips, and a weekly automotive news program covering late-breaking industry announcements, trends and issues. Next week, CarTV will also provide Video iPod users with daily coverage of the SEMA show in Las Vegas, the world's premier auto specialty parts exposition (and a hot-ticket event for young urban "tuners," or car customizers). Moving forward, CarTV will continue to convert its library of original automotive video content for Video iPod usage while developing new content and automotive ad platforms focused on the largely young, affluent Video iPod market. Visitors to CarTV.com have viewed more than 121,000 hours of car commercials and original CarTV content (including reviews, editorial features, interviews and auto event coverage) so far in 2005, making the site one of the leading providers of automotive rich media on the Web. "Most iPod docks just sit on a desk and connect to the nearest computer. Mister Jalopy's dock sits in the garage where he restores classic cars, so to make it blend in a little better, he fitted it into a converted Farnsworth radio console from the 1960s. Then he stuffed in a turntable, a tuner/amplifier, a Mac mini, and a handful of USB widgets. Now he can play a record, and the songs will be automatically imported to the Mini and transferred to the iPod. Just for fun, he threw in a Radio Shark AM/FM antenna that can tune in and record radio to the Mini. And in keeping with the seamless melding of old and new, the station-preset buttons on the original tuner control play, skip and other functions on the iPod." Learn which FireWire and USB 2.0 cards have been tested and work well with iPod. PR: The Soldius1 with iPod Kit includes the Soldius1, White mini USB cable and 2 interchangeable iPod adapters compatible with Apple iPod, iPod nano, iPod mini, iPod Shuffle. Also compatible with Blackberry. PR: Meet iKitty - the toy, case and stand for you and your iPod iKitty is cute and functional - offering great rubberized protection, docking capability, and screen protection for your iPod, iPod mini, or iPod photo. iKitty is a cute 'pet' for your and your iPod. He provides protection and fun for you and your iPod. Pose his tail - sit him down in the dock, and trust that his rubberized body and screen protector will keep your iPod safe. iKitty's rubberized body protects your iPod from bumps, scratches and even the occasional drop. The removable screen protector stays put and is harder plastic, giving your screen extra protection. He also acts as a stand. iKitty is a suitable pet for all 4G and Photo iPods - 20, 30, 40, and 60 gig! Insert the back plate one way for 20 and 30 gig - the other way for 40 and 60 gig. If your iPod needs charging - iKitty could probably use a catnap too. iKitty's lower half flexes forward and folds up to allow iKitty to sit in the dock and 'chill' while your iPod charges. Dockable - 'sits' and hangs out while your iPod charges and synchs up! PR: Sonnet Technologies announces a new line of high-capacity replacement battery solutions for 1st, 2nd, 3rd, and 4th generation iPod models (including iPod photo and iPod with color display), and iPod mini. In an industry first, Sonnet supplies all the required tools, as well as detailed installation instruction videos (in English, French, German, and Japanese) in each package. As new iPod models are introduced, previous models don't suddenly become useless, but shortened playtimes can make them feel old. All iPods use rechargeable batteries subject to a limited number of charge cycles, and their charge capacities become diminished as time passes. Installing a new battery is a great, economical way to reinvigorate your player - Sonnet's high-capacity replacements offer up to 78% greater capacity over original iPod batteries, and playtimes can exceed 20 hours. Sonnet batteries let you love your iPod even longer! Replacing a battery in an iPod is not like replacing the batteries in a TV remote - you need specialized tools and instructions. While several Sonnet partners will offer installation services, Sonnet's battery package includes the right tools for the job to open the iPod case, so there is no need to try to do it with tools laying around the house. "If a picture is worth a thousand words, a video is priceless," says Robert Farnsworth, Sonnet CEO, of the included video installation instructions. "While opening up an iPod isn't something everyone will attempt, the high quality instructional videos guide the user in an easy to follow procedure." Spoken English, French, German, and Japanese language videos are included on the CD, playable in Windows and Mac computers. PR: Pacific Rim Marketing has introduced the iDiddy Opticover for the iPod nano. The Opticover is thinnest case available for your nano. Made from aerospace polyurethane, iDiddy Opticover will protect your nano from scratches with a tough barrier so durable that it is offered for use on the front of Ferraris and Porches to protect the paint from rocks and road rash. The iDiddy Opticover is so thin you will hardly know it's there. It is so clear; you will think it came from the factory this way. The iDiddy Opticover for the iPod nano is simple to install. Simply peel back the die-cut material, and carefully align it as shown in the fully illustrated instructions. Apply it on slowly using the included squeegee to help eliminate any air bubbles that may get trapped between the surface of the iPod and the Opticover material. Slowly work the air bubbles out and in just a few minutes you have remarkable protection for your nano. The Opticover wraps the front, back and sides including the click wheel and button of your nano. Opticover for the iPod nano is both permanent and removable. Once you put it on, you will want to leave it on. If you ever want to remove it, the special adhesive will not stay on your nano. The adhesive will come off with the Opticover material leaving your nano fresh and new. Opticover for the iPod nano is inexpensive protection at only $14.95. 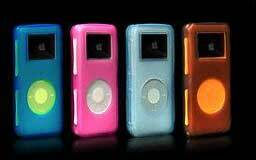 You will find no finer protection for daily wear and tear than your Opticover for the iPod nano. It is available immediately. PR: Think Different Store (1-800-iPod.com) has in stock InvisibleShield for iPod 5G/Video. Super strong, full-body protection for iPod. Covering both front and back of iPod, InvisibleShield is extremely tough and extremely invisible - a clear film measuring only eight one thousandths of an inch thin! Made from film originally designed to protect helicopter blades while spinning at hundreds of miles an hour, the wrap is designed to stay on under the roughest circumstances. It will not come off unless you take it off. Thinner than a blade of grass yet possessing unimaginable strength, InvisibleShield is easily removed and it won't damage your screen. Nor will it leave behind any sticky adhesive. 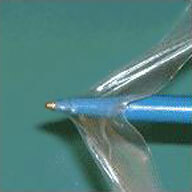 It even has a self-healing property, ensuring that many of the bangs and bumps the film takes will simply disappear. The 'pen-test' reveals just how tough InvisibleShield is. InvisibleShield was one of the bigger hits at this year's Macworld in Boston. Over three days of demonstrations for the show's audience InvisibleShield withstood countless deep scratches, pokes, and jabs from pens, keys and more. The wrap past its tests with flying colors and received rave reviews from all who witnessed. For all who love iPod's design and don't want it covered by a bulky case, InvisibleShield is the answer. PR: TuneFilm 5G includes 3 pieces of adhesive clear film to fit the iPod 5G's front, Click Wheel and the sensitive mirror finished back and provides protection for your iPod 5G against dirt and scratching. It is the perfect companion for your precious iPod 5G. TuneFilm will be sold separately and it will also be included free with PRIE Ambassador for iPod 5G and IceWear 5G. Keep an eye out, because it will also be included with more TuneWear iPod 5G case products in the future. PR: Contour Design has introduced the iSee nano, the first crystal clear iPod case for the iPod nano. 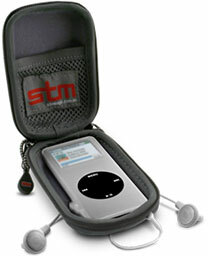 In addition to being the ultimate in protection, it features innovative headphone organization with the unique Cablegrip. The iSee nano brings the beauty and simplicity of Contour's iSee case line to the iPod nano - a crystal clear, low profile, secure snap-on case that accents and complements the iPod nano's style. "We sat down with our designers and asked them how we could improve on our iPod case technology," said Andy Brown, spokesman for Contour Design. "The result is the best designed and best engineered iPod nano case on the market today." This impact resistant polycarbonate hard case keeps the LCD display scratch free and protects the rest of the iPod nano from anything that can mar it's sleek, clean finish. The iSee nano provides easy access to all iPod controls and connectors. In addition to its protective qualities, the iSee nano goes beyond just being a case. It features an innovative headphone organizer that takes advantage of the lightweight iPod nano. The headphones can be used as a lanyard by simply hooking the headphone cable through the unique Cablegrip on the back of the case. The Cablegrip can also be used to shorten the headphone cord. 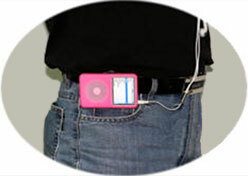 The removable belt clip secures the iPod nano to a shirt or pants pocket as well as to a belt; it is also part of the headphone organizer, the headphone cord wraps around the entire case with the earbuds tucked into the clip. 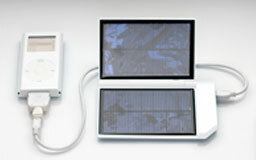 The Contour iSee nano will be available the first week of November 2005, through Contour Design's extensive distributor and reseller partners. MSRP will be $19.95 US and £19.99 UK including tax. PR: z-Cover Inc. has announced the release of their iSA Fashionable Silicone Protective Case for the new iPod with video. zCover iSA cases for the new iPod now available for shipping. 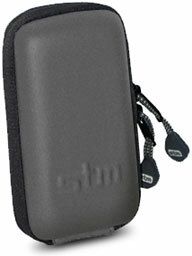 The iSA Original series for iPod with video case retails for $29.95. PR: RadTech, makers of iPod and mobile computing accessories and more, have announced pre-ordering for STM Cocoon case for iPod nano - Cocoon for nano is expected to ship mid-November. 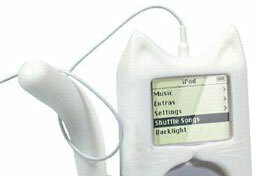 Cocoon for iPod nano; a semi-rigid clamshell clip case with a secondary translucent skin offering protection and storage. Protect, store and wear iPod, earbuds and extras in the new low-profile Cocoon. Accommodating both 2 & 4 GB nano's, this rugged clip case provides unparalleled protection and full access to the click wheel and all ports. Each Cocoon includes a Silicone skin which includes an integral, transparent Silicone display cover. Skinned iPods securely attach into the Cocoon's rigid clamshell. The Cocoon also includes a secure internal pocket for earbuds, ID, bank cards, cash, etc. The included high-quality lanyard lets you wear the entire clamshell, or just the skinned iPod, around your neck. A rugged, low-profile spring clip secures the Cocoon to your clothing, purse, carry bag, etc. Cocoon for nano is priced at $29.95 and is available for preorder today. Shipping expected to commence mid-November. PR: Powered by random mutation and natural selection, evolution took billions of years to yield nature's most efficient iPod listening machine. The female kangaroo has large ears to hold earbuds and provide an optimized chamber for reverberating bass. The marsupium (commonly known as the pouch) provides an ideal location to place the iPod and protects its fragile surfaces and interworkings from the harsh environment. As perfect as the kangaroo's form and features are for listening to the iPod, it still has a few shortcomings. When kangaroos need to focus their attention on other things, they don't have a good place to stick their earbuds. Either the earbuds drag on the ground, or they place them in their pouch with the iPod where they can become tangled and are not in easy reach. The kangaroo must take her iPod out of her pouch in order to play, pause, or jump to the previous or next song. And of course, the pouchless male kangaroo is unable to enjoy music, audiobooks, podcasts, and commercial-free network television shows, as he has no pouch to hold his iPod. Kangaroos are made in Australia from Australian materials and components. According to AustralianWildlife.com, the average kangaroo weighs about 90 kg, thus requiring a conversion into pounds for use in the United States and, of course, an expensive shipping charge. PR: iSkin, Inc., a leading provider of iPod accessories, announced today the availability of its new iPod Duo. The patent pending duo design offers the highest level of protection for the iPod nano, the iPod Duo features a dual layer shock-resistant silicone skin that guards against bumps, scratches, dirt, and other unwanted elements, ensuring your tunes keep playing no matter where you go. iSkin's iPod Duo is available in a variety of two-tone color combinations - including Ultra Glo, glow-in-the-dark color schemes. The iSkin Duo is available at from iSkin for $29.99 and will soon be available at other fine retail outlets in the near future. PR: iPodResQ have announced the support and repair of the iPod Video in both 30 GB or 60 GB configurations. iPodResQ announced today the support and repair of the iPod Video in both 30 GB or 60 GB configurations. The new services are available immediately and are added to their extensive line of premier iPod repairs offering 24-hour turn around and worldwide convenience. The prices vary by repair, but for example the flat-rate Video LCD replacement is $169. This includes a custom iBox sent to the customer's location in the continental U.S. via overnight courier to pickup the iPod Video for overnight delivery back to the iPodResQ service center. iPodResQ will receive the iPod, install a NEW (not refurbished) LCD the same day it is received, and return the iPod back to the customer overnight. To get started, customers simply call 1-877-Pod-Repair or visit http://www.ipodresq.com . For customers in Alaska, Hawaii, or any other international location the service is provided at a nominal additional cost to cover additional shipping expenses. "This new iPod Video is a huge step forward in iPod technology. We were very excited to see several modifications in the iPod Video from a design/manufacturing standpoint and Apple has taken huge steps in protecting the screens with internal improvements." said Ryan Arter, President of iPodResQ. "Unfortunately these iPods are still very susceptible to hard drive failures and screen damages particularly if an iPod is dropped. We strive to continue to be the best source for out-of-warranty iPod repairs with our exclusive 24-hour repair program. We limit the downtime so our customers can get back to enjoying their iPods quickly in the event of a catastrophe." For computer resellers and repair centers, iPodResQ offers discounted rates on products and services. Computer dealers can send overflow service work or seamlessly outsource their entire iPod repair operation. Volume discounts are available for schools, corporations and government agencies. PR: HotRecorder, a unit of the United Virtualities Group, the leading innovator of creative marketing and technology solutions for the digital marketplace, today announced a new product called HotRecorder for Media, designed to give control back to users who download music by recording and converting iTunes and Yahoo! Music Unlimited sound files to universal formats playable on any personal music device. This means that iPod users and all other MP3 players that were not Yahoo! Music Unlimited compatible, will, for the first time, be able to play Yahoo! Music Unlimited files on their portable players. Conversely, users of any conventional non-Apple MP3 player will be able to play all iTunes files. HotRecorder for Media can record any iTunes and Yahoo! Music Unlimited file and in the process convert them to universal formats. Converted music and any other sound file can then be transferred to any personal/portable music device (including any standard MP3 player) that might not have been compatible with either iTunes or Yahoo! Music Unlimited. The conversion process is automatic and easy while assuring the highest sound quality. Future versions of HotRecorder for Media will be able to record any sound file including music from an ever-growing variety of sources. HotRecorder for Media, an easy to use application, can be downloaded in the next 60 days for a one-time payment of $19.95, a 33% discount of its regular price. It is guaranteed to be free of spyware/adware. HotRecorder for Media has no advertising and offers a free trial version for those who want to test it before buying. "HotRecorder for Media enables its users to regain control of their downloaded music, as they have when they buy a CD," says, Sabrina Spagnolo, HotRecorder's Corporate Communications Manager. PR: Transfer your PIM data to your iPod so it's available whenever you need it; iPod It supports transferring information from Entourage, Stickies, Mail, Address Book and iCal. You can even download RSS feeds, weather forecasts and news headlines directly to your iPod. Download RSS feeds. iPod It ensures that only unread articles are transferred to your iPod. - For version 1.x iPods, Contacts, messages, notes, tasks, news and weather forecasts appear as Contact entries. Long entries are logically split into multiple contacts. Sync all (or a subset) of your information to your iPod with a single click. Uses your filter settings to determine what information gets synched. Automate the synching of your information by selecting automatic synching on launch and automatic exit following a sync. Use iPod Launcher and connecting your iPod is all you'll ever have to do! Clean your iPod of all information within given iPod It categories. Mac OS X 10.3 or later, Apple iPod. PR: Torbay Holdings, Inc. has announced that it has developed and is introducing iBrakemoor Video; a "relax on the run" version of the Brakemoor Anti.Fatigue computer program. Brakemoor employs the 3 Rs of Anti.Fatigue: Re-Aeration, Relaxation, and Recovery, using proprietary images and audio as well as, during its Recovery phase, user's own audio and/or visual media. The new iPod products from Apple allows extensive mixed media storage and the ability to play videos or show pictures while listening to music, used in the Recovery phase of the Brakemoor break regime. We have produced iBrakemoor videos in the iPod "m4v" video format (as well as other "Pocket PC formats") and have recorded two "Upper Limb" versions so far with whole body versions to follow. One version is of Phases I and II, Re-Aeration and Relaxation, allowing users to make their own iPod media selections for Phase III, the Recovery Phase. We have also recorded a Full, 3 R Phase, version with ocean sights and sounds as the Recovery Phase. The video element of Brakemoor is a component of the patent application that anticipates a media lead "Modern Lifestyle Management" market that seeks to de-stress and de-fatigue. The emergence of the new iPod range and iTunes availability on some cell phones was an opportunity immediately responded to in the hope of becoming recognized as an early iPod video market player and introducing Anti.Fatigue into the mass media vocabulary. It is believed that iBrakemoor could extend Brakemoor's application and increase awareness of our company and Anti.Fatigue products by providing the Brakemoor concept as a turnkey solution for use both on and away from the computer. Brakemoor to date has received good feedback from test installations in the UK, Australia and the US and we feel that our design objectives for Brakemoor have been met and most likely exceeded. A potentially significant advantage for Brakemoor is that it is a passive regime in that it does not require users to perform stretches or other forms of active exercise during the break. Corporate response to "passive breaks" has so far been positive as it overcomes concerns as to potential liability should an injury coincide with the performance of some alternative active exercise computer break in the workplace. This same advantage, for different reasons, we perceive is an advantage in the iPod marketplace as iBrakemoor allows its user's to "relax on the run" while on trains, boats and planes without disturbing their neighbor or having them contort in public places. Tom Large, President & CEO stated: "One Brakemoor aspect we had hoped for seems to have been recognized, which is that despite the hours spent loading gigabytes of pictures and music to computers very little time is spent in their enjoyment, whereas now Brakemoor affords that opportunity in a constructive and work related way." "The iBrakemoor iPod opportunity we believe could provide us with access to, and so income from, the personal media revolution that is taking place as well as being a billboard for our other products. A short demo in iPod video format is available via the link below. Pricing will be confirmed after discussions have been had with the distribution outlets we have approached." Designer Appliances, Inc. is leading the way in the development of Anti.Fatigue tools and technologies to manage the impact that fatigue is now understood to have upon computer users. Anti.Fatigue design conforms to Universal Design criteria so produces products that are more "Accessible and Assistive" to all, including persons with dexterity impairment or disability. We are all capable of fatigue. Safe Harbor Statement under the Private Securities Litigation Reform Act of 1995: The statements contained in this release that are not historical, are forward-looking statements that are subject to risks and uncertainties that could cause results to differ materially from those expressed in the forward - looking statements, including but not limited to, certain delays and risks detailed from time to time in the company's filings with the Securities and Exchange Commission.